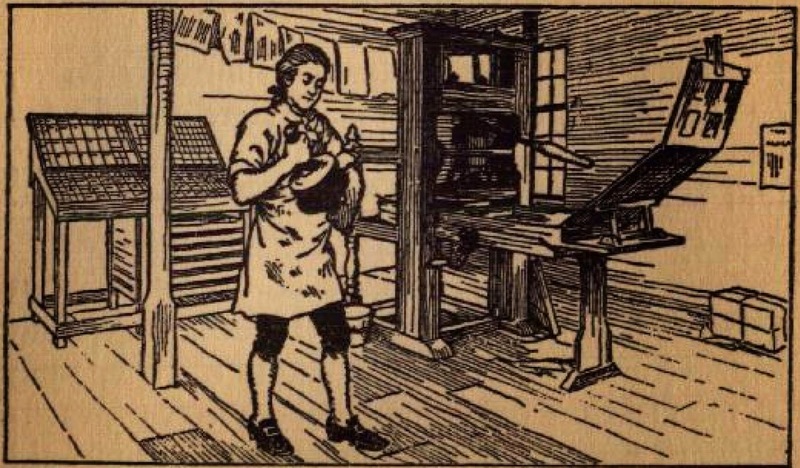 Apprentices were not allowed to wear hats, nor any other covering on the head but a woollen cap; no ruffles, cuffs, loose collars, nor anything more than a ruff at the collar, and that only a yard and a half long. Their doublets were to be of fustian, sackcloth, canvas, English leather or woollen, without any gold, silver, or silk trimmings. They wore cloth or kersey hose, but of no other colour than white, blue, or russet. Their breeches were always of the same material as the doublet, and was neither stitched, laced, nor embroidered. Their upper coat was of cloth or leather, without pinking, stitching, edging, or silk trimming. Surtouts they were not allowed to wear, but instead thereof a cloth gown or cloak, faced with cotton, cloth, or baize, with a plain fixed round collar. No pumps, slippers, or shoes were allowed them, but English leather, without being pricked, edged, or stitched. No garters, but what were made of crewel, woollen, thread, or leather. They were not allowed to carry either sword or dagger, but a knife only. All rings, jewels, gold, silver, or silk, were forbidden on any part of their dress. Nor were they allowed to frequent any dancing, fencing, or musical schools, under very severe penalties, one of which was to be publicly whipped in the hall of their company. In our times, when the present style of dress levels all distinctions, the apprentice is often more gaily attired than his master, and attends public diversions with as much ardor and liberty as the peer who helps to support that master.